We are thrilled to announce that Steve's Gourmet Olives is collaborating with 3 other Tampa Bay brands to offer gift sets this season- Voodoo Chef, Intensity Academy & Mario Olives. These sets include delicious, all-natural sauces, spices & martini items for a variety of gift options starting at just $20. 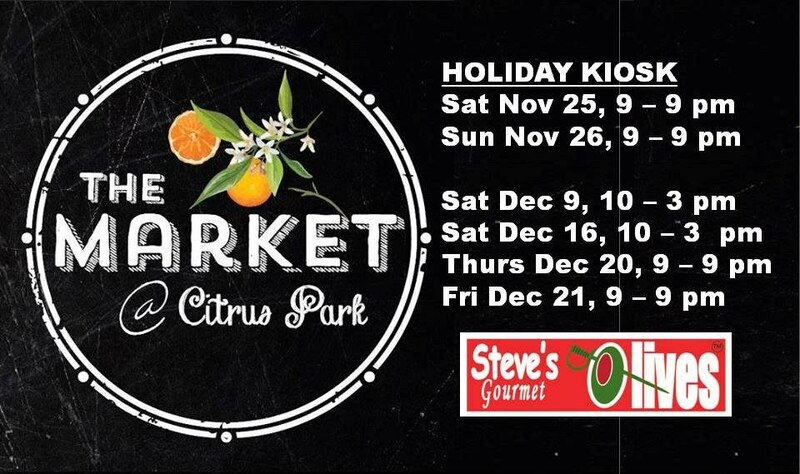 Purchase them directly from me & Steve at Citrus Park Mall in Tampa on these dates. Mention this newsletter for 20% off one gift set. Or ship directly from our website anywhere in the U.S. Check our Facebook for special offers throughout the season. Wholesale prices are available for larger order. And don't forget one gift for yourself.